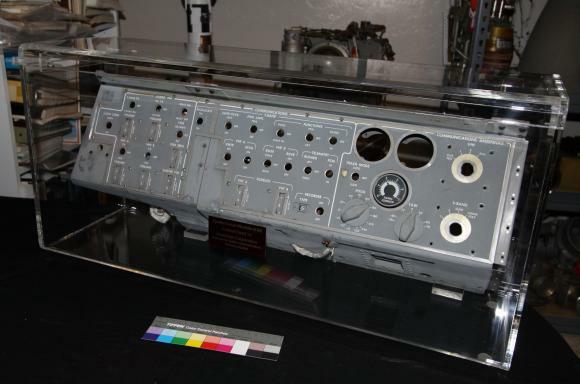 Lunar Module Control Panel, #12, mounted to the right of the Lunar Module Pilot station (within the spacecraft's Ascent stage). The panel provided control of of audio, communications and antenna. This is beleived to be an early version of the panel, missing switches as a result of cannibilization but retains intact many of the beta cloth covered umbilicle connectors at the rear.